This summer I wanted to share with you a collection of posts to feature a few books that I just absolutely have to recommend to you for fantastic summer reads a well as books I plan on reading this summer myself! Summertime is a fantastic time of year for so many different kinds of books. I don’t know how many people out there are mood readers or even “season readers” but I feel like summer is the great time for epic books, cute contemps, and emotional roller coasters — basically any book you can totally and completely get lost in. Enter: feature. 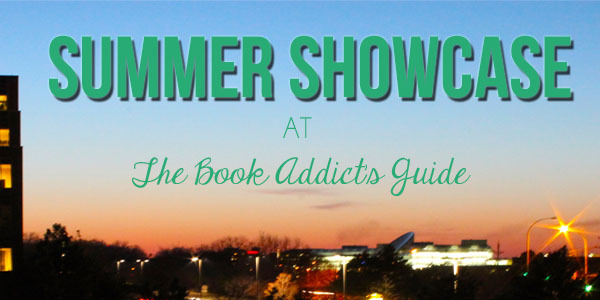 Missed the first edition of Summer Showcase? Check out which blockbuster books I’m recommending for this summer (and reading myself) here! One of my favorite types of books to read in the summer are the cute contemporaries. I just LOVE a cute, summery, light read in the summertime. They’re just perfect for kicking back and relaxing, reading on the beach, chilling on the porch, or just letting your mind relax with something cute and cozy! There’s just something about contemporary books that scream summer and I just love all the light and fluffy and/or cute and/or swoony reads paired with warm weather and cold drinks! OPEN ROAD SUMMER is the perfect summer read. I mean HELLOOOO it has the word “summer” in the title! But seriously, folks. I read this one a few months ago and I am still swooning over it. I read it, fell in love, and then immediately ordered my hardcover copy because I NEEDED this book to stay on my shelves. I already want to do a re-read. That’s how much I loved it! What you need to know about this book is that it’s about teenage country & pop superstar Lilah Montgomery and the story spans the course of the summer during her concert tour (hence the title) but the book isn’t actually Lilah’s story. Yes, that’s a very big part of it, but OPEN ROAD SUMMER is very much Reagan’s story. Reagan and Dee (short for Delilah — Dee to her friends, Lilah to her fans) have been best friends for years and after a very rough patch in her life, Reagan spends the summer with Dee on her multi-city concert tour. It’s a story about redemption, friendship, love, and finding oneself. 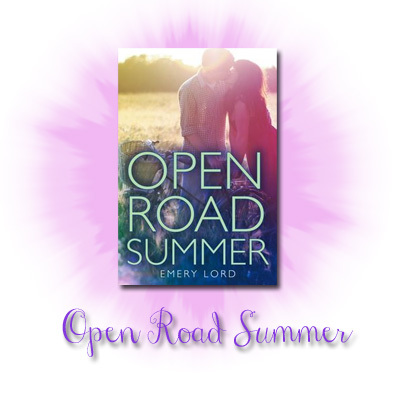 OPEN ROAD SUMMER is one of my top recommendations for summer reads because this book really has it all! Now is the perfect time to read ANNA AND THE FRENCH KISS if you haven’t already with companion novel ISLA AND THE HAPPILY EVER AFTER coming out in August! I read ANNA a couple years ago and instantly fell in love. I really related to Anna in so many ways and she also happens to fall in love with one of my favorite book crushes of all time, Etienne St. Clair. 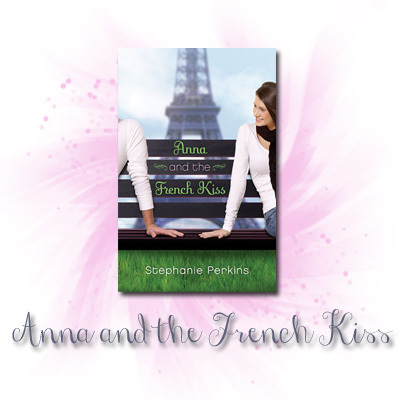 ANNA AND THE FRENCH KISS takes place at a boarding school in France and not knowing much about France (and not being a Francophile like so many of my friends), I was scared I’d get lost in French culture and references… but it was just the opposite. I ended up learning a lot and quickly fell into step with Anna who also knew absolutely zip about France before she was shipped off there. ANNA AND THE FRENCH KISS is adorable, enjoyable, and one of my favorites. Read it or start a re-read this summer! Now is the time! 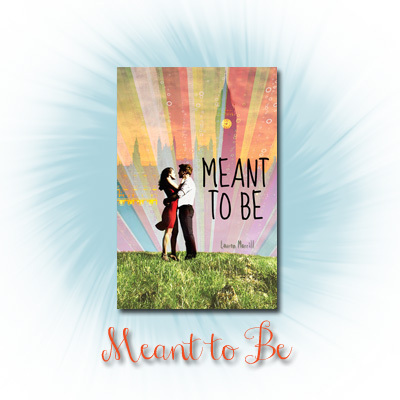 MEANT TO BE actually takes place over spring break, but I think it’s a wonderful light read for summer as well. I felt like it was very reminiscent of ANNA AND THE FRENCH KISS when I first read it which was all positive for me! I really connected with Julia who was a total book nerd and someone who always felt like things would fall into place, especially when it came to her love life. I loved Julia’s story of figuring out that sometimes you need to work at the best things in life to make them happen and that life can be a great balance of both Fate and choice. The romance is cute and so much fun to watch develop and MEANT TO BE also has some really funny lines and slapstick comedy which I don’t always enjoy but Lauren Morrill did it just perfectly! 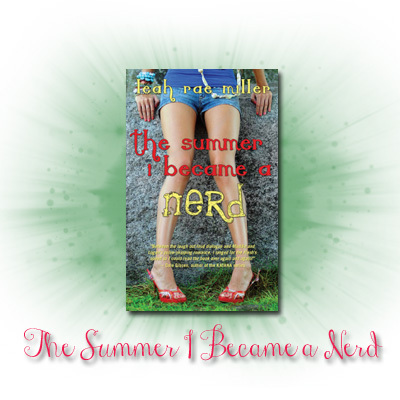 THE SUMMER I BECAME A NERD is one of the most underrated cute contemporaries that I’ve read. It’s not a bigger title and it’s from a smaller publisher so I really feel like this one really slipped under people’s radars but I absolutely loved it! The book is an almost Cinderella story in reverse… Instead of a transformation from geek to chic, we get the story of Maddie, a closet geek who slowly starts to turn from popular cheerleader into the nerd she really is. I thought the book was so much fun and it has a great nerdy-hot love interest! ON THE FENCE was just plain adorable. Kasie West is a contemporary mastermind and this book did not disappoint me whatsoever. I loved reading about tomboy Charlie (short for Charlotte) and her day-to-day life growing up in a house full of men. The book was just plain fun and I loved the best-friend-to-boyfriend romance (I always do) between Charlie and her neighbor Braden, who’s practically a part of the family. 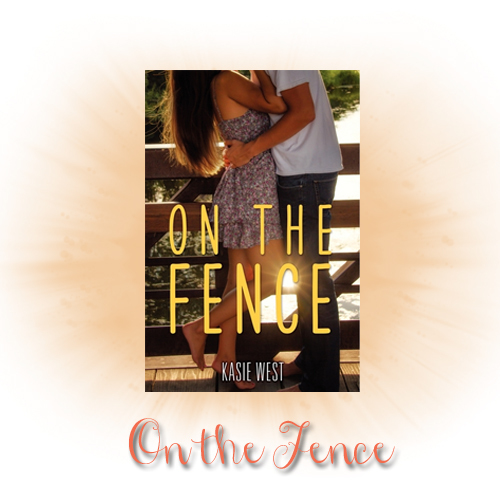 ON THE FENCE is light, adorable, and just plain fun! I KNOW. How have I not read this yet?! I’ve heard nothing but good things from everyone and I just haven’t had the time to sit down and really enjoy it. I’m constantly working my way through ARCs and review copies that my backlist copies tend to get pushed to the side but I REALLY want to read MY LIFE NEXT DOOR sometime this summer! It’s been on my list for years and it just needs to happen! A LITTLE SOMETHING DIFFERENT is one of my review copy reads but I’m also really excited to get to it! I’ve been hearing nothing but good things about it and just how stinkin’ cute it is. I’m really excited to pick this one up for summer and just kick back and relax with an adorable book. How about you? Do you love cute contemporaries for summer? Which ones are climbing to the top of your recommendations lists this year? This entry was posted in Books, Contemporary and tagged Anna and the French Kiss, Books, Meant To Be, On the Fence, Open Road Summer, Summer Showcase on July 21, 2014 by Brittany. One of my favorite types of books to read in the summer are those epic “blockbusters”. These are the major series, the epic fantastics, the best books you’ve ever read in your life. Typically what I would consider a blockbuster is something that really has it all: action, adventure, romance, danger, intrigue, and of course, the fan-base and anticipation of being THAT BIG BOOK that will take the reading community by storm! I have quite a few favorite “blockbuster” books and series. Some of them will come as no surprise, but nevertheless, I HAVE to recommend them because I KNOW there are people who haven’t started them yet. Well, my lovelies. SUMMER IS THE TIME! With the RUIN AND RISING — the conclusion of the series — having just dropped, fans are all about The Grisha trilogy! And right they are. I was not a big fantasy fan at all when I first read SHADOW AND BONE, but Leigh Bardugo’s Grisha trilogy instantly took me by storm. I fell in love with this amazing fantasy world that she creates and how she incorporates the most wonderful ties to czarist Russia while still creating a world that is uniquely her own and fabulously detailed. I love everything about this trilogy — the world building (of course), the characters, the plot, the twists, the relationships, the magic… Everything is just perfect. 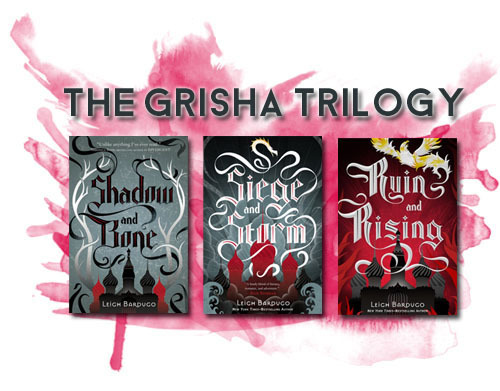 If you haven’t started The Grisha trilogy yet, now is the time! All of the books have now been released and you can spend your whole summer catching up! 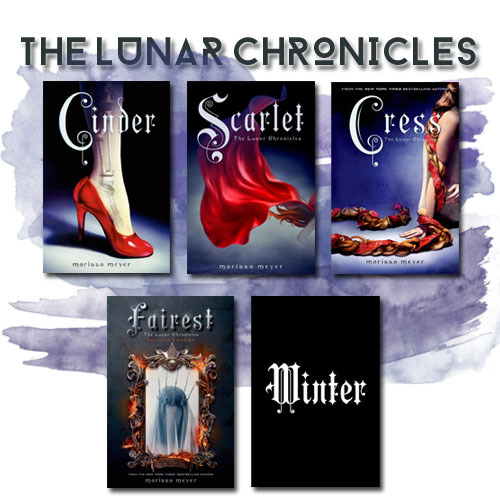 The Lunar Chronicles is one of my favorite series OF ALL TIME. I honestly, truly compared it to Harry Potter. My love for it is of Harry Potter proportions, so that’s really saying a lot! For those of you who haven’t read it… I know, I know. A cyborg Cinderella? That’s too sci-fi. Can’t possibly be good. Right? NO. WRONG. This is amazing! CINDER was so great but the series honestly just gets better from there too. More amazing characters, incredibly plotting, fantastic action, and OH, the swoons! FAIREST, although a prequel, is actually a full-length novel coming out in January 2015 and WINTER is closing out the series late 2015 and that will be a long wait, but well worth it! 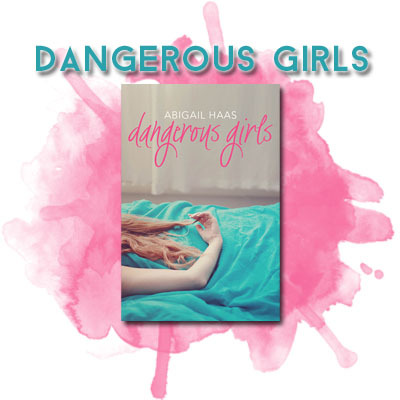 I read DANGEROUS GIRLS from start to finish in one day. I left for BEA and started it in the airport in Chicago. I read it all through the plane right and couldn’t believe I had to stop reading it when I got to NYC. But then I was waiting for Alyssa’s train to get in and I managed to finish! YES! This was not at all what I expected. I had heard plenty about how amazing this book was but for some reason I still haven’t believed it. I honestly think it was because of the super poor original cover, actually. It made it look so cheesy. But this was honestly fantastic, you guys. It was how YA mystery-thrillers should written. It was realistic. It was terrifying. And it totally knocked my socks off. 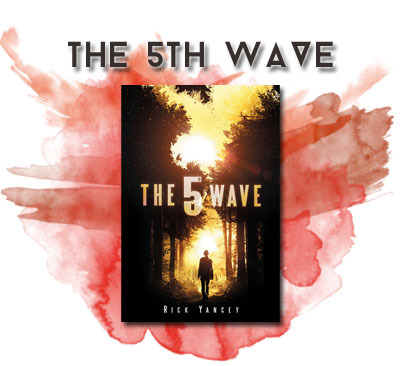 Surprisingly enough, THE 5TH WAVE was another book I read in one sitting. I was so enthralled that I just sat in my apartment and read it from cover to cover. I am really, really not a fan of aliens. But THE 5TH WAVE was so much more than aliens. It was really exciting with so much action, suspense, and a really great twist as well! I know that movie news is starting to pop up so if you plan on reading the book and haven’t yet, I highly advise avoiding the movie news and hunkering down with this book ASAP! 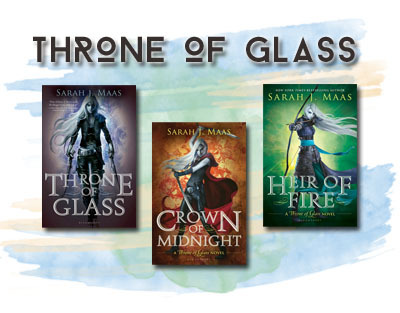 This summer I’m reading Sarah J. Maas’s Throne of Glass series! I actually started THRONE OF GLASS (let’s be accurate here and check Goodreads…) back in September of 2012. I made it just over 80 pages into the book but really was having a hard time with it and my allotted time was up with the library copy so back to the library it went. Even back in 2012 there was already a lot of hype for this series so I think I was intimidated by that and that I wasn’t really reading fantasy yet as much so I really think it just wasn’t the right time. I decided it was finally time to pick this series back up again and then two wonderful things happened: Bloomsbury announced that they were doing a series read along (slash, re-read along) and they’ll start discussing THRONE OF GLASS in mid-July and I had tweeted about re-starting this series on Twitter and Nikki from There Were Books Involved told me that she read all of the novellas first and it really helped her enjoyment of THRONE OF GLASS (A LOT)! Since I already felt like I had struggled with it the first time, I decided to take Nikki’s advice. This entry was posted in Books and tagged Blockbusters, Books, Dangerous Girls, Summer Showcase, The 5th Wave, The Grisha Trilogy, The Lunar Chronicles, Throne of Glass on July 1, 2014 by Brittany.